We receive lots of kind and generous testimonials from our customers. These are just a few typical ones. We have not used names for politeness but, if you want further information, please get in touch and we will be more than happy to share this information from industries, organisations and individuals. We were very impressed by your speed and quality of workbenches back in September, and would like to enquire if you can make a mobile shelf trolley? You recently supplied us with some standard workbenches and we’ve been so pleased with them we wondered if you would be prepared / able to quote for a custom mobile workbench ? Excellent service, fast turnaround, friendly and very accommodating. We use you regularly and really appreciate the first-class service. As above, fast turnaround, great quality, well made and exactly what we wanted. Bespoke design of exactly what we needed. Good price. FAST, EFFICIENT, MADE TO OUR SPEC. GOOD SOLID BENCH. COSTED OTHERS THAT WERE MORE EXPENSIVE. Very easy and simple to order. strong and sturdy construction. On time, good quality, the users are impressed. Good quality product. Compared to local potential suppliers, Benchmaster won hands down. Responded quickly. good solid bench well made. More expensive than others but you get what you pay for. Hi Andy, the benches are amazing thanks, really happy with them. Turns out the floor isn’t too bad anyway. Straight forward ordering process and well priced product. Seems very robust and exactly as described. Seems good value compared to other bench brands. Bench delivered on time, at notified date. Website and customer support very helpful. Bench supplied exactly to my custom specification. Nicely finished, and very sturdy. Nothing comparable on the market. Nice to be able to support a British manufacturer. I will be back for more. We have just received our recently purchased workbench (A/C BM CAM006 your ref 11014) thank you. Very pleased with the product. Thank you so much for the workbench!! It was the best ever Birthday present and its taken me until now with the holiday break to transform an unworkable space into a small workshop will now be able to host a whole range of important tasks and provide organised work space!! Superb customer service from first email through to installation. Having Jim come up to appreciate the space and potential issues we were facing gave us great confidence in using Benchmaster. Great quality, made to measure for a sloping floor and fit perfectly first time. Fantastic benches that should ensure decades of use. always delivers on time. good quality, fair prices. Very good service, delivery time are good. Solid product, well finished. Good value. Great fast delivery. Excellent build quality. Great value for money, nice to see UK manufacturing. Great service. Great quality, so good value for money. I’m very impressed with the quality of the bench. I do a lot of welding and Landrover garbox rebuilds and it is far more substantial than my old one. Hi Richard, Wow – that is impressive – thank you. Was kept informed regarding delivery. Well made. Good value. Bench arrived with scratches, and lower panel had missing rivet at back. Easy to use website, clear pricing, good communication post order. Solidly built, great quality, very pleased. Not cheap but quality is high, would have liked to see solid wood top surface. Only let down by not being informed of delayed delivery date. Apart from that all staff were very helpful. My delivery driver was exceptional……a fantastic ambassador for your company. Benchmaster were totally accommodating with our recent order and reacted very professionally. Good solid bench unit, well wrapped for delivery. Great price for a quality product. Great customer services, delivery and final product. Thank you. Couldn’t have been more helpful. Product is just as described and perfect. Bench is well made. All very good service, just one slip up, I asked to be contacted to arrange delivery, in the first instant this did not happen, but was soon addressed after a phone call. Very pleased with products, good value, A little damage to paint work on some items. Very good. Easy. Great quality. Good value. Brilliant service. Could not find any faults with the company. Again the product is well worth its money. Excellent value. I bought one a while ago and it was so good I have bought two more. Good quality product. Good value for money. Very good. The bench delivered was not as ordered in more than one respect, which indicates product was not checked before despatch. Customer service was good. Quality product. Expensive but robust. I am very impressed with this bench. In fact could i order another one but 24inch high with a cupboard ? Very pleased with the understanding of my requirements (which others had struggled with) and the flexibility to meet them. Excellent if not quite perfect (some areas of paint not perfect – but ok). Hard to judge. It wasn’t the cheapest option but was a lot better value than other benches I looked at. Great service and delivery. Just as described and great build quality. Good value for money. Very pleasant and helpful to deal with. Product is just what I wanted and well built. You get what you pay for. Salesman was very helpful with the products ordered. Good Standard of tables. The only thing I noticed that the frame was only partly welded. Value for money. Good Customer Service and Delivery. Good quality product. Competitive pricing which is good for us as we have to re-sell. Friendly service staff; happy to assist. Product not in use yet, but is as required. Heavy-duty, well made product. Deemed good value for money based on comparative on-line product prices. Hi Jim, Received my trolley last week. Just a quick email to say I am very happy with the trolley. Nice and sturdy should last a few years! When we first visited BenchMaster in 2014, we were very impressed with their operation in Mossley and could see straight away why the team there were so proud of what they produce. We were looking for a partner to support the development of a variety of operations in our warehouse and BenchMaster were the perfect choice for the bespoke solutions we required. Benchmaster turns our ideas into a reality, delivering a quality product and service each and every time. Whenever we have a project that involves new workstations, we always turn to Benchmaster. Friendly and efficient service. It is very much as I thought it might be; not cheap but the quality is good. Only time will tell whether it will be money well spent. Good comms. Delivered on time. Exactly as pictured and described on your website. Cheaper than JAS. Bits missing from order on delivery. Well made. Good value. Delivered exactly what was asked for, pictures on website actually reflected the delivered item. Would have been 10 but a couple of rivers pulled through on the sheet steel. Solid piece of engineering, we’ll laid out, not cheap but you get what you pay for. It is Thursday 31 May and my Heavy Duty Bench has been delivered on time as promised. A good start was made when the delivery driver helped me move it into place in the garage. It was nicely wrapped in cardboard and cling film and I must say it exceeded anything I was expecting. There are no sharp edges on the corners, the metal top is beautifully folded, and the blue paint work is first class. It will be a shame to use it. Received my bespoke bench. It is perfect and as anticipated. Kind regards to you and the bench builder. Very helpful, arranged delivery at our convenience. Great Build quality. Fair price. Great communication. Well constructed on a bespoke request. Quality products at fair price. Great from beginning to end. Not the cheapest, but arguably the ebst. Service was great. Benches seem of good quality. Good price for the quality of bench. Received my bespoke bench. It is perfect and as anticipated. 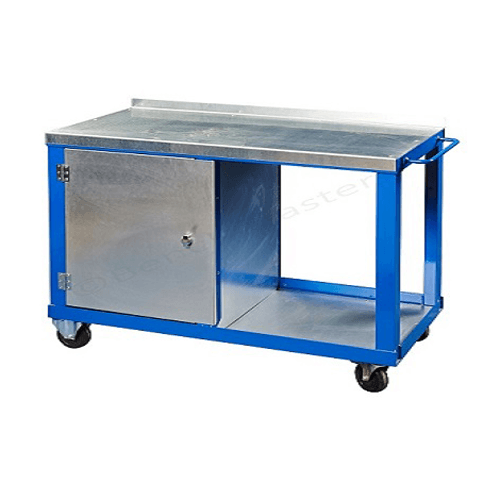 Benchmaster have provided us with several quality workbenches that have been fit for purpose for all of our production needs. The benches we ordered came equipped with lock cabinets, additional shelves and louvres to make sure smaller components, tools etc. are kept within reach. Excellent, your response to our order has been commendable. I really appreciate it. Great service, very accommodating and helpful from initial point of contact. 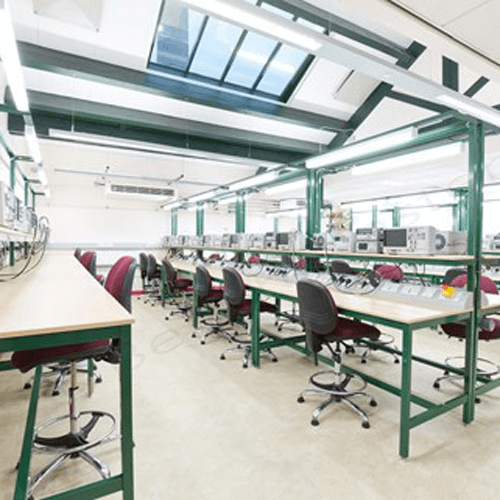 Excellent custom built workstations, fit for purpose. Modifications required were at very little extra cost. Quick response to emails. Good quality – does the job. Better than competitors and quicker. Quick replies on email. Great quality. No flaws! FIRST CLASS. QUALITY PRODUCT. BEST IN MARKET. Easy to deal with and speedy service. Good quality product. Good value. Fast service. Made to measure sizing. Cheaper than pre made units. Easy to deal with. Good quality product. Good value for money. Very Efficient and helpful. Good Quality. Value for money and well built. Super strong bench delivered on time. A tad pricey but worth it. Lack tracking information on product after shipping and was only given eighteen hours’ notice of proposed delivery slot. 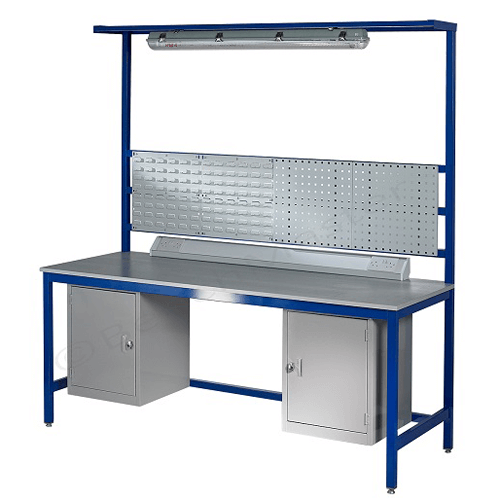 Workbench has been constructed with excellent materials and accuracy. Very impressed with quality of workmanship and packing for shipping. The vice provided is of inferior quality and not value for money. Great Service. Great Product, well made. Great Price for the Quality. Would have liked a slightly better update of the delivery time. I did on my previous 2 benches from you but this time I had to ring up. Good quality workmanship. That’s why I bought another one. Not cheap but tough!! Vice mounted in wrong place. Scratches to door and bench top. Happy with all aspects. Well made. Cheaper than many, but price was not a major consideration quality was. Fast, efficient and delivered on time. Well built and finished. Great value compared with competition. Operators are always very friendly and helpful. Benches that I have purchased have been manufactured of the highest standard. It took a bit longer than I was expecting. Some sharp edges/corners could have done with rounding off. A substantial product for the money. Good communication. Great quality. Good value. Would have given a ten but I called to ask about bolts to hold the vice (weren’t any included). Was promised a call back but never got one. No big deal sourced some myself. Brilliant build quality, would survive a nuclear war. Pricey but you get what you pay for. From order to delivery- 1st class. Good construction – ideal for onsite work. Well priced for the heavy duty bench. Easy, purchase, easy delivery. Had a bench for 5-6 years and need another, no brainier really. Did web search for quality and price came to same conclusion as first time. Delivered on time and when specified. Good product for what we require. Good value for quality of end product. Fast, easy to deal with. Very sturdy equipment. Not cheap but very well made. We send official P/O and got order ack. back quickly. Always great quality and delivered on or before time. We have used many times before and keep coming back when we need new benches. Good service. Delivery delayed due to Christmas holidays. Good quality. Expensive but you get what you pay for so not really an issue. Excellent quality and service. Very sturdy and well built. You get what you pay for. Quick response, reasonable pricing, regular progress updates, excellent finish product. Excellent finish product. Competitive. Excellent quality, and lead time. Compared to other, manufacturers value for money. Excellent Service. Good Quality. Very expensive for box section and MDF. Came out and discussed our needs with me. Come up with good ideas and removed any anxiety. These are perfect for our needs and also robust and will last years. Can only comment that in my opinion it is great value for money, it’s not just the product we bought it’s the whole package which is excellent. Service was quick and easy to order and the parts turned up as expected. The product was of a good stability for the price we paid. Beautiful bench, slight hiccup with delivery but nothing serious. Lovely bench, sad that there’s not a UK made vice available. Bargain. Helpful staff, prompt delivery. Well-made sturdy workbench. Reasonable price for a quality product. Very helpful, efficient, delivered quickly. Well made, good finish. Not cheap but product seems good. Always willing to help and answer questions. Good quality, reasonably priced. Value for money. Would have been 10 but was let down by the delivery but luckily all worked out ok in the end. Just what was asked for! Got a good price for the product. A few issues with the delivery time scales. Not the best quality. But very good value for money. Very good value. Excellent delivery when you said it would be. Used you for years and always had great quality products. Value is excellent which is why I use you. Fast and efficient. Well put together looks good. Very good value for money. Racking of delivery not good. Second quality range could be offered. Great service. Great, versatile benches. Great price. Perfect service. A quality product. Really good value. We have received are work benches today and our Service Centre are very happy with them. Good price, good product options, staff very helpful. Little dent but not worth reporting. Considered good value for money. The estimated delivery date quoted when I placed the order was met. All communication with Bench Master people was polite and efficient. A minor problem with part of the order was quickly resolved by Bench Master in a professional manner. The workbench is well designed and constructed, in comparison with other less robust mass produced work benches on the market. The workbench is UK manufactured and not an import from the Far East. The availability of design, materials and size options were key as I needed a heavy duty work bench to fit into a smallish space. The work bench is relatively expensive when compared to other mass produced makes, but overall is good value for money given the quality materials used in construction which together with the build quality should give many years of service. I’m based a long way from Mossley in a remote area of the UK so delivery costs can be higher than average. Consequently. It was an advantage that delivery was included in the overall price. The work bench was well packaged for delivery transportation and arrived in excellent condition. Only reservation on this purchase was no indication of how long it would take from order to delivery. If notified that it would take x weeks at least you would know when to expect it. This is the only company I would ever use to when i need work benches, good product, fair price and excellent service! Great range of standard options and custom sizes and layout are also available. There may be cheaper options available but the quality of the benches is excellent. I’ve had my first set of heavy duty work benches for over two years and they are very heavily used on a daily basis and still look as good as new! As we had purchased a few benches prior to this I knew what I wanted and the quality of BenchMaster. They performed exactly as last in terms of turnaround and quality. Excellent robust quality, more than up to the job. Looks good and will last for years. I don’t know that I could have got better or cheaper elsewhere, in the end you pay for quality, both in product and service, I could not fault either. Bench delivered around 2.30pm. Looks good, very sturdy and fits perfectly! Just one further point about the courier – there was just the one guy and without my help he would not have been able to get the pallet off his van safely without damaging the package – it was only just a 2-man lift. Thanks for your help and I’m very pleased with the bench. Adopted good standard design to my specific requirements. No fuss and easy to deal with. The lighter weight bench was just right and sturdy enough for my needs. I bought the bench without a top so I could use what I already have. Maybe that should be a standard option. Great service. The customisations I requested were all provided without hassle and the staff very friendly.The only improvement would be a quick email to confirm once the product has been dispatched. I bought a heavy duty workbench and it’s just that, well put together and totally solid. All in all a quality piece of kit. I’m very pleased with it and am sure it will last for many years to come. Not cheap but you get what you pay for it seems. Top service, can’t fault it. Absolutely fantastic product, superb build quality and finish. Superb value for money. Easy to order. Plenty of options. Good quality product. Good value. My bench was delivered this morning and I’m very happy with the quality, I just want to say thank you for a great product and first class customer service. Efficient quick service. Great quality. Excellent value for product. I cannot fault the service received, delivery experience was excellent. Exactly as expected, sturdy and well made. Only point to note is that the vice reinforcement plate could have usefully gone further back. My vice is a Paramo 4″ and the rear bolt hole is getting close to the plate edge. Compared to most other suppliers it is great value, probably at the price the market will stand. I personally messed up the order and was rescued by the staff. Tremendous service from start to finish. Absolute class piece of kit. Pure quality. You cannot get a product of this quality elsewhere for the money. Packaging and delivery were excellent. Excellent service, we had some individual requirements and they helped us achieve them. Excellent benches. Ideal benches. Easy process from start to finish. Well built SS table. Seemed better value than the other tables I viewed and much better lead time. Great service. Really nice and sturdy. Not cheapest but good quality. Professional and accurate. Received in good condition and on time. 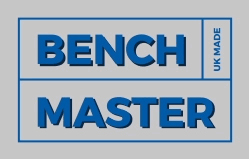 Good value, I will / have recommended Bench Master to others. Just to let you know that my bench arrived as promised on Friday, and with 3 of us pushing and pulling the pallet truck we moved it into position without any problems. The bench is exactly as specified and I am very pleased with it. Thank you for your assistance with my order. Bench has arrived and is installed in my workshop. May I say that I am delighted with the bench and the quality is extremely high. Complete bargain! Thank you for this mornings delivery of work benches. We are extremely happy with them. So happy that we’d like some more please! Customer service was excellent, great communications and overall speedy service. Product is exactly as expected, quality build and finish. Supplier was given a competitors quote and bettered it. Very pleased with the price. Delivered in 2 days. Well designed and nicely finished. I purchased on special offer. Great service with amazing quality benches not found anywhere else in the UK. Although these benches were slightly of standard the delivery time was still very fast, quality was not compromised. Can’t buy these anywhere at this quality. Thank you Bench Master. Score would have been higher but the bench took a long time to ship after the order and there were then issues with the vice and rear lip. These however were rectified really quickly and without any quibbles which was great. Workbench itself is excellent; sturdy, robust, really well made, and looks good too. Just misses out on a 10 cause of the issues (quickly rectified) with the vice swivel plate. Quite expensive, but then quality is, and it compared favourably to similar offerings from other makers. Quoted quickly and supplied components quickly and as ordered. Custom made product delivered as required and quickly. Price in line with alternative products. Everything on there looks perfect. Thanks for the quick reply. Thank you for the benches you sent last year. They are working really well and are of excellent quality. We have a requirement for more benches going forward. I was wondering about ESD bench for an electrically sensitive product we are making. Spoke with office staff prior to order re delivery dates, very helpful and did what they said. The delivery driver was spot on arrived at time stated and helped place bench in my garage. Excellent serves throughout. Solid, well finished, welding first rate, just an excellent product. Should be a 10 really but I never like paying out money!!! Met all expectations. Well built and designed. Good value for the quality. The bench arrived yesterday & earlier than we expected so we were very happy. The bench was delivered this afternoon. I would like to say how pleased I am with it. It lifts easily onto its wheels and is very easy to manouvre around. 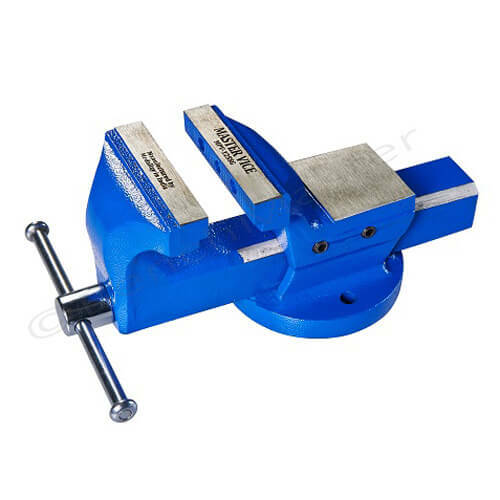 The build quality cannot be faulted and the strengthening plate for the vice is excellent. I fitted my large record vice to it in less than half an hour. An excellent product and excellent service. Excellent service. A very well made bench – just what I wanted. Great value for money. Bench arrived in the within the timescale given. Staff were helpful. The bench was made to a high standard. Benchmaster provide a great product at a reasonable price. Excellent bench and vice; very good delivery. Solid and well made. Very good value for money; bench built in UK. The new benches arrived just before lunchtime and are now installed and in use. We are extremely pleased with them, the build quality and finish is excellent. I should think there will be a requirement for further benches to replace our old ones. It’s also very nice to work with another British manufacturer! Good afternoon Richard, the new benches arrived just before lunchtime and are now installed and in use. We are extremely pleased with them, the build quality and finish is excellent. I should think there will be a requirement for further benches to replace our old ones. It’s also very nice to work with another British manufacturer! Kept up to date on the progress of the order. Very well made. It was expensive but the quality quantified the cost. Excellent, friendly service. This is the second bench I’ve purchased for my home workshop over the years – quality product. Not cheap but excellent quality and finish so worth the money. Built to last. No communication regards delivery which took much longer than expected. Well made but slight defect on the vinyl. Excellent customer service, even with a customer who was still defining exactly what was required! Fantastic piece of kit. I am convinced it will be robust and it is very well made. I could have done with some more detailed images / dimensioned drawings on line. I would have asked for a slightly different wood top had I realised exactly how it would arrive. It is exactly what I was after. By removing some of the nice to have features (such as the cabinet) it is affordable and will clearly last a lifetime. Bespoke equipment made to order perfectly. As with everyone, cost is a major issue. Telephone order but very helpful. Good quality equipment. Slightly more expensive than I expected but you get what you pay for and time will show if the benches have been a good purchase. So far, all looks good. We have used BenchMaster twice now and the service has been excellent on both occasions. Quality product competitively priced. Does what is say on the tin, good sturdy and aesthetic and ergonomicaly built. Very helpful staff on the telephone. This is the third bench that we have bought from you. Good quality. Hi Andy, just a quick note to say we received the benches today and we are very happy with them our engineers and the MD was very impressed with the quality and the price. Benches received with thanks, excellent quality and excellent service. Excellent – everything exactly as promised. Better quality than products twice the price – and NO assembly required! I received excellent advice on my purchase. All my queries were answered and I received the goods very quickly. Well made, sturdy and exactly as described. I found that similar items of poorer quality were more expensive. Really helpful in customizing a trolley for me – only ordered it on the Monday afternoon & it was delivered on the Thursday – would definately use this company again. Lovely bench. Got it yesterday. Ordering was easy. Spoke to a few people on the phone, all super helpful and friendly. Lots of good communication about delivery times keeping me regularly informed. I have a friend who is a fabricator, and I am a 3d CAD operator. I worked out how much it would cost to get this at ‘mates rates’ and factored my design time in to create a cut list etc. We couldn’t do it for the money! Great service, Graham really helped with the requirements that we needed. Great value on a product that would have cost a lot more from china. A great British manufacturing product. Extremely helpful on contact regarding a small order for a custom sized bench. Delivery arranged on specific day and very quick service with high quality product. Just to say how delighted I am with the work bench I ordered. Great to have a table at the right working height for me! We are so pleased with the 2 benches you made for us we would like to buy another one. Great price for a quality bench. Well made and finished.Delivered on time and in good condition. Good value for money. Everything was as described, and delivery was on time.The products are built well and are very sturdy. Delivery all went to plan. Bench is now in regular use and excellent. Thank you very much to everyone at Benchmaster. Thanks for helping us out with the this – the team are so happy they can use it this afternoon. We have just received the order from yourselves and as always you’ve delivered on time again thanks for that. I need to order 3 more of the same at 600mm wide. Received the staging workbenches that are manufactured to an excellent and robust quality. The green powder coating also matches my greenhouse! Please also thank your driver who was helpful. It is really well made and a good price, about £300 ish + VAT, and the Benchmaster team were really helpful. Andrew, I would just like to express my joyful satisfaction with the service and product provided. The turnaround time was fantastic and the quality and price also very impressive. Thanks again and will be back in touch when we require additional benches etc. Must admit i’ve been delighted with them. Fantastic – thank you for your professional service. We are very pleased with the 2 benches and the amazing quick delivery. Just a thank you for getting all the benches delivered as promised, ready for our open day. Even the 2075WSC one ordered later was delivered with the other three. This one was looked on with great envy. Thank you for showing me around today, I was very impressed with the quality of work and craftsmanship that you have at BenchMaster, I am happy I chose your company to manufacture these for us. Just wanted to give you some positive feedback on the benches you made for us. Everyone really likes them and are very pleased with the build quality/robustness. Please thank whoever made them. Although we haven’t put them into their final position yet, we are very pleased with the Benches. We are especially happy with the build quality and durability I would like to thank you again for modifying the bench top rivets to the side to allow us to top the benches with glass sheets. Whilst you guys are on my mind I thought I had ought to send you these snap shots. The customer was over the moon with the final look of the workshop. Our bench arrived on Friday and the guys have just brought it into our workshop. We are pleased with the bench and delighted with your service – you responded brilliantly to our request to have this made and delivered as quickly as possible. Thanks so much – it is very much appreciated and we would recommend your company without hesitation. We would just like to thank you for the Super Heavy Duty Workbench recently purchased from your company. We are very pleased with the quality of the product and the prompt service and delivery. If in future we need to expand our service area we would not hesitate to purchase more equipment from your company and would not hesitate in recommending you to new customers. Received the benches today with thanks, absolutely fantastic ideal for the job. Many thanks for the workstation which was received earlier this week. We would like to order another one please, exactly the same as the one received. Fantastic! Can’t ask for better service than that. I haven’t been in our institute for several weeks and came back on last Thursday. The workbenches are exactly the types we needed and they are looking very good. I’m really glad that everything work so well. Thank you very much. Hi, I purchased a workbench a few weeks ago and am delighted with the quality and your quick turnaround. Thank you very much. It’s nice to be able to buy British. We received our new bench today, its great, thanks. Just a quick note to say thank you for the incredibly rapid response to our purchase order. The delivery arrived in perfect time and the quality is spot on (as expected from you guys!) Rest assured all our future bench requirements will be coming your way. The desk order number 3712 arrived safely, really well made and nice quality, perfect for our application. Just a note to say thanks for sorting the bench so promptly. It is installed and client is very happy. Please find attached a repeat order for a customer. They liked the workbenches so much they want some more! We are very happy with the quality of the bench and pleased with the finish quality. All three desk have arrived, many thanks, really nice quality. I would like to say that we are extremely pleased with the robustness and quality of the benches and we’d be more than happy to send you through some images of the final installation. They are fab, exactly what we needed. Fantastic benches, very hard wearing, excellent quality. I received my bench from you yesterday and it looks perfect. Thanks for the efficient service and high quality of the product.